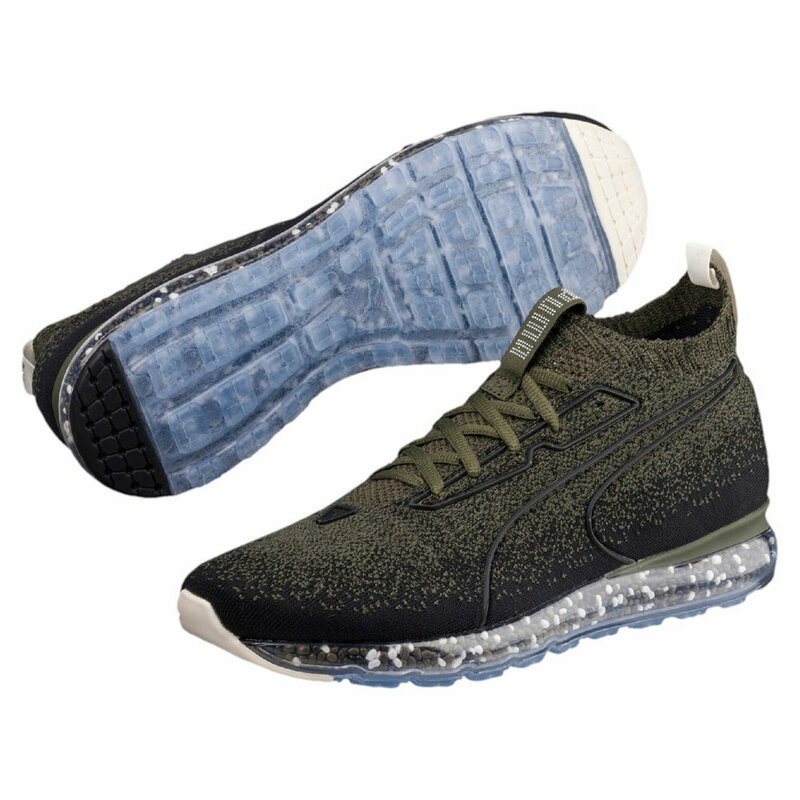 Praised for their innovation on this model, Puma unveil and release their latest genius in the form of the “Forest Night / Puma Black” Jamming Cushion. The pair sees up-to-date sportswear technology placed into the very fibre and fabrics of the shoe, ultimately resulting in a supremely comfortable and ultra-responsive silhouette. Harnessing cutting edge sportswear tech, the brand state the secret lies within the ‘NRGY beads‘ at the sole. These newly-developed pellets are said to be loose until pressure is put on them, where they then “jam” together to give off a subtle, energy returning reaction.